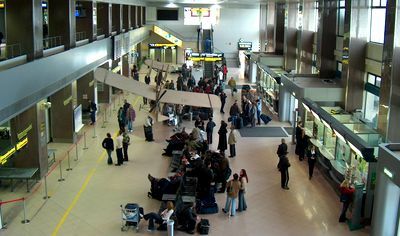 Before being stuck for an hour at the Baneasa Airport due to an engine malfunction, European Commission president Jean-Claude Juncker said, at the end of the “Three Seas Summit”, that Europe needs to breathe with two lungs, one in the East and the other in the West, while the emphasis must be put on cooperation. “What you are doing here is completely in line with what the European Union is trying to do (…) Europe needs to breathe with two lungs, one in the East and one in the West. So we have to put more emphasis than ever on the virtues of cooperation, in the sense of using a common language for the East and West, and we encourage this initiative and encourage you to open new ways of communication between the two lungs of the continent and also between the north and the south, because only in this way we will be able to fulfill and implement a dear project to all Europeans, no matter where they live, east, west, north or south,” said Juncker. The European official stressed that the EU spends money on infrastructure development to enable it to travel “more quickly and easily”, and for the infrastructure of energy and natural gas transport or other investment projects. “We encourage projects, for example, between Poland and Lithuania, we have a project funded by a special mechanism. We believe this project can then be used as a model for links between EU countries. We have EUR 150 billion of investment between the two seas, between Adriatic Sea and the Black Sea We have to take advantage, Commissioner Corina Creţu is responding to this matter, and we have a wide range of projects, for example EUR 2.5 billion euros allocated only to infrastructure, especially in your area, like gas pipeline between Austria, Bulgaria, Hungary and Romania (BRUA) and the Juncker Plan,” explained Juncker. He added, however, that it is absolutely necessary to respect the rule of law, because “investments make no sense in the absence of respect for the rule of law”. 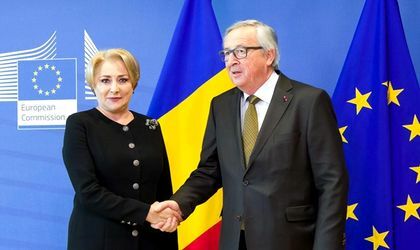 Juncker met Prime Minister Viorica Dancila at Baneasa Airport, where they discussed the takeover of the presidency of the EU Council next year.